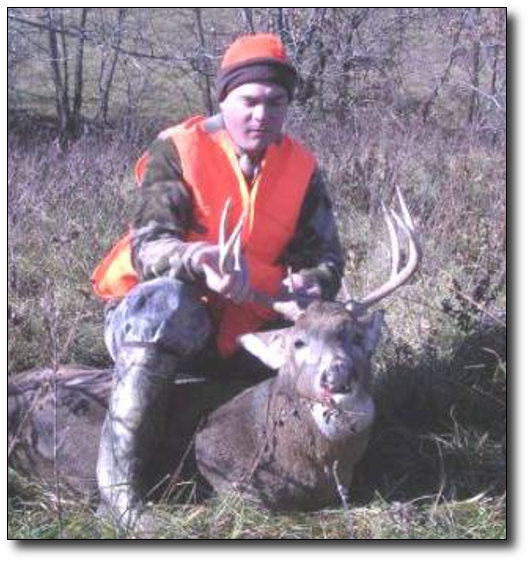 The attached photo's are from the Missouri rifle season 2006. We knew nothing about the property we had drawn for the rifle season. We went up the month before to put up our stands and scout the property. at first glance, driving around the property, we were not impressed. Then we got out of the truck... the first afternoon we spent scouting we saw 18 deer in the first hour. The next day when we hung our stands we saw more sign than we could have ever expected. This property from the topo's and from the road did not look that good. MaN, were we ever wrong! I have found out over the years of being in this club it pays to put your boots on the ground. The first day in the stand was crazy! I saw 12 different bucks that all meet the 4 points on 1 side restriction for the county we were in. 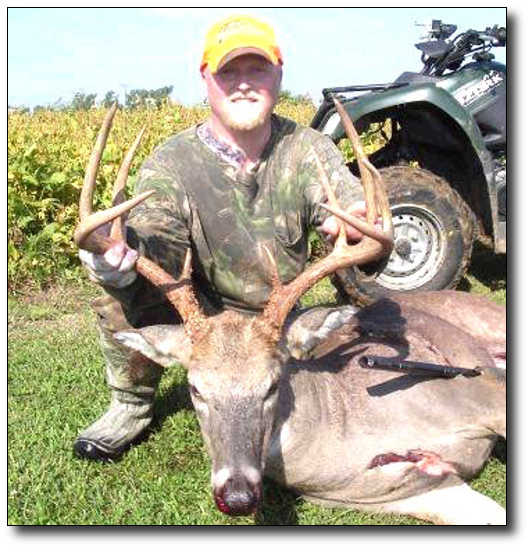 My hunting partner shot his buck the first morning, and I shot mine the second morning. We were planning on hunting 5 days but were there only 1.5 days. This was one of the best experiences I have had on club land. I have never had a disappointing hunt on club land. I also attached a picture I took on club land that scored 144 inches. 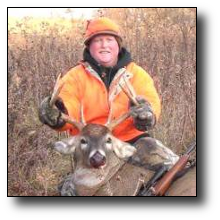 Are you sure that is a whitetail and not a Mulie?